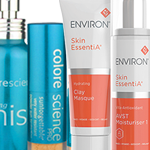 The award winning RapidLash® family of products are trusted by millions for their safety and efficacy. RapidLash®, RapidBrow® and RapidHair® formulas are unique blends of innovative ingredients that help enhance the appearance of lashes, brows and hair. Each of our exclusive formulas contain a special proprietary blend of ingredients called the Hexatein complex. Each Hexatein complex uses the latest technology and the highest quality ingredients to provide revitalizing nourishment to areas weakened by stress, diet, or aging. So ditch the dull, lack-luster looking lashes, brows and hair and help bring back you’re youthful, alluring appearance quickly and naturally. 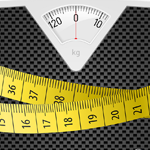 You are just 60 days away from beautiful results! 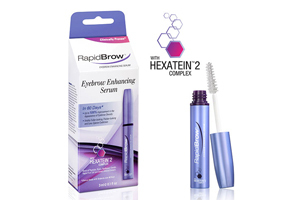 RapidBrow® Eyebrow Enhancing Serum is formulated with an innovative Hexatein®2 Complex. 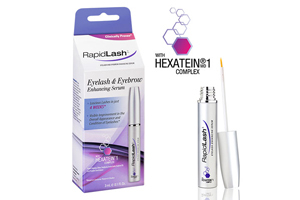 Exclusive to RapidBrow®, Hexatein®2 Complex is comprised of six highly effective ingredients that help condition and improve the appearance of eyebrows and put the wow back into your brow! 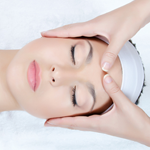 More voluminous-looking, more beautiful natural brows are just a few brush strokes away! 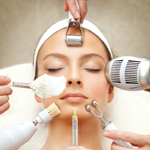 Polypeptides, comprised of beneficial amino acids, help support more voluminous-looking appearance of brows Biotin (Pro-vitamin B7 / Vitamin H / Coenzyme R), an essential factor in maintaining healthier-looking, more youthful brows Panthenol (Vitamin B5) helps nourish and condition the brow hair, improving the overall appearance of brows Keratin, a building block of hair, helps boost the protein structure and enhance healthier-looking appearance of brows Apple Fruit Cell Extract, a revolutionary anti-aging ingredient from stem cells of a rare Swiss apple, helps rejuvenate the youthful appearance of brows Sweet Almond Extract, a rich emollient, helps add shine, sheen and softness to brow hair. RapidHair® is an amazing, scientific breakthrough in the hair care category that enhances the voluminous appearance of hair in just 60 days! The RapidHair® Hexatein4 Complex is comprised of six beneficial ingredients that revive the appearance of hair’s natural brilliant beauty. Why hide your mousey hair under a hat when you could start shaking around an amazing mane? !